Historical fiction is back and it’s big. Brought up on Jean Plaidy, I couldn’t be happier. Hilary Mantel’s Wolf Hall slay the Booker two years ago and Andrew Miller took the Costa last year for this novel, as engineer Jean-Baptiste Baratte reluctantly undertakes to clear the fetid Parisian cemetery of Les Innocents. 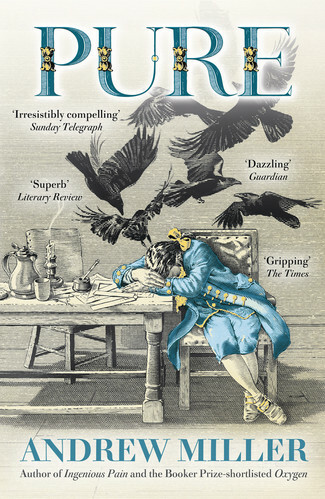 Set against the backdrop of pre-Revolutionary France, Pure sees our hero make new friends (steadfast and flamboyant) and enemies (unpredictable and dangerous) as he disturbs both the quick and the dead. 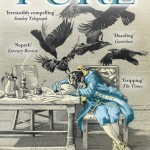 Though there is drama, the book itself never seeks to be dramatic and sometimes meanders, luxuriating in its own impeccably re-created sense of character and place. At its best, though — which is most of it — Miller/Baratte wrestles with eternal dilemmas: how to uproot what’s established but decaying; holding on to dreams (he dreams of building bridges) while living out reality; finding and accepting friendship and love as it comes.